A few weekends ago I found myself with a completely free Saturday. I thought about going to a museum, but it was too last-minute to get a free ticket with my library card. So I decided on a trip to the SF Botanical Garden instead. Just me, my camera, and 55 acres of beautiful plants (oh, and a croissant from Arizmendi)—sounded like a pretty perfect Saturday plan. The magnolias were in bloom, so it was extra beautiful this particular weekend! 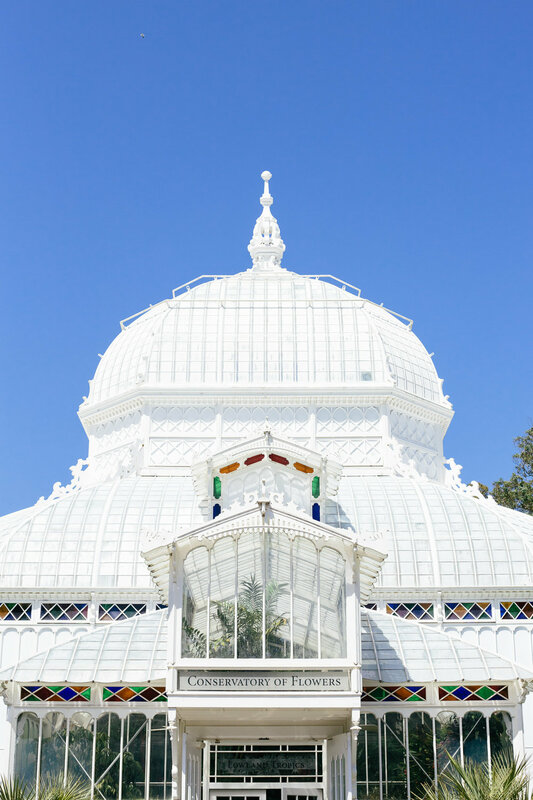 Recently I visited the Conservatory of Flowers for the first time with my friend Brigid! We went on a Sunday after church (and after a picnic) and really enjoyed it! Such a beautiful environment; I could spend so much time inside enjoying all the different climates, unusual plants, and shades of green.